Program assistant for the publishing and repository services at the Ohio State University libraries. 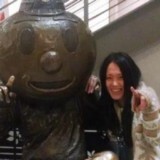 Yui H. hasn’t been active on Medium yet. Check back later to see their stories, claps, and highlights.